Oh, how I love this combination! 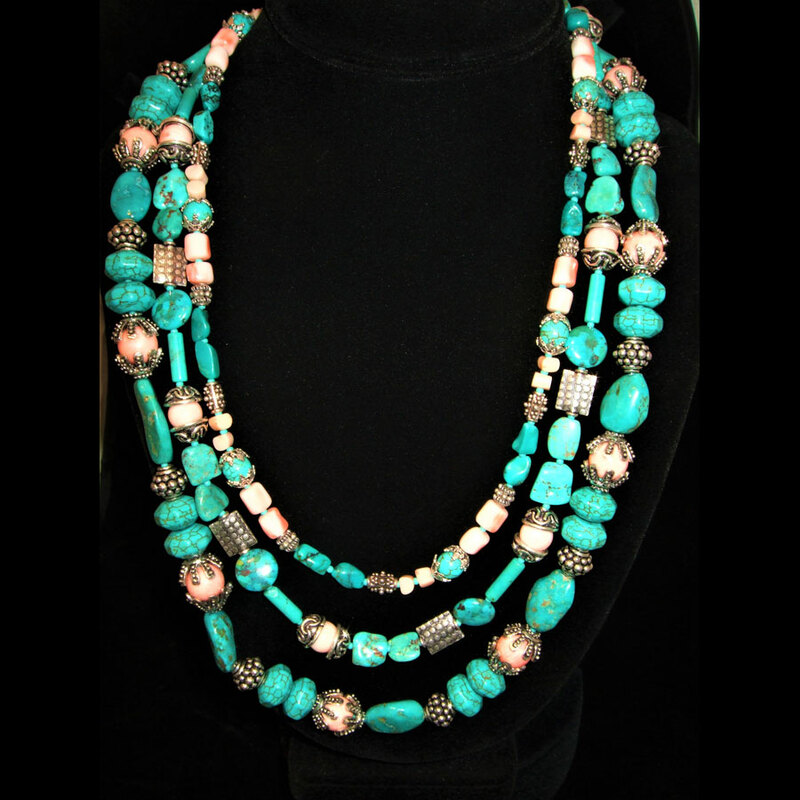 Turquoise and Angel Skin Coral beaded 3 strand necklace. It is all artisan designed and handmade. 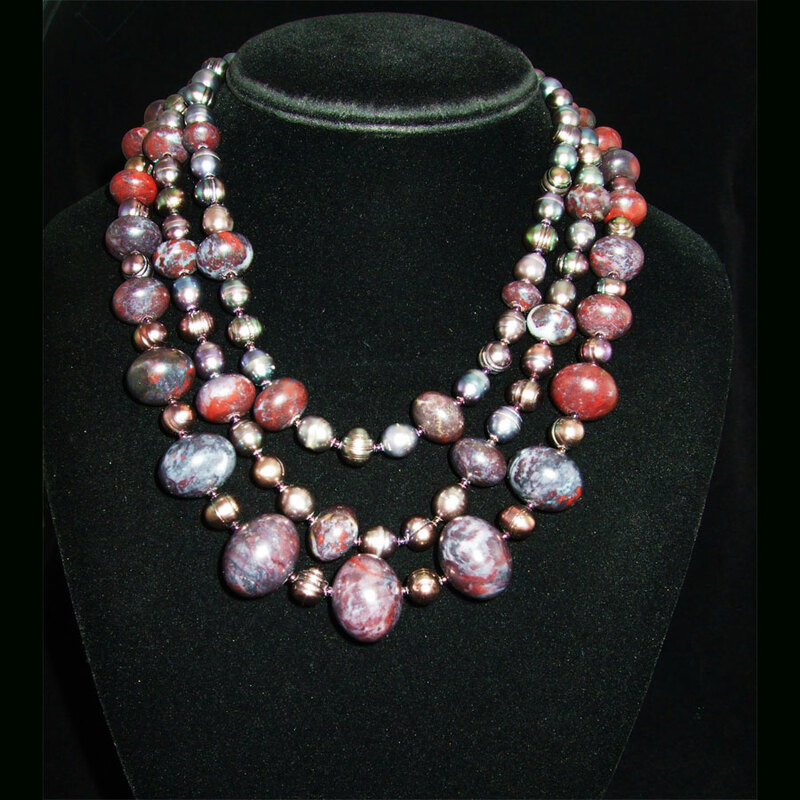 This stunning necklace also has Sterling Silver spacer beads and a matching inlay toggle clasp. The shortest strand is approximately 21″ in length and the longest strand is approximately 25″ in length. 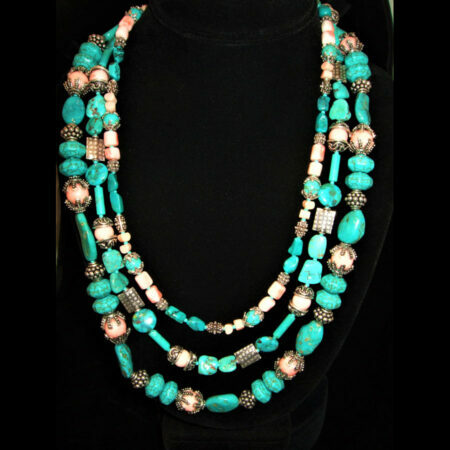 It’s a great longer necklace that will look good with almost anything! Sure to be one of your favorites!